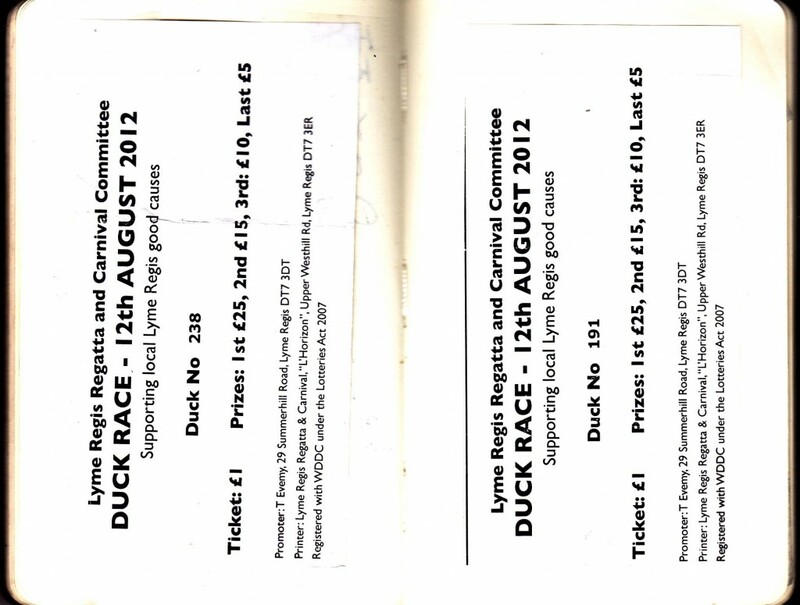 Never completely successful at horse-racing, I decided to have a go with Ducks. 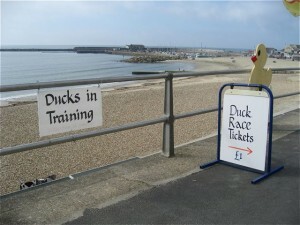 As everyone knows, Lyme Regis became famous for its Duck Races after Conger Coddling (involving a frozen dead eel – don’t ask) was banned. 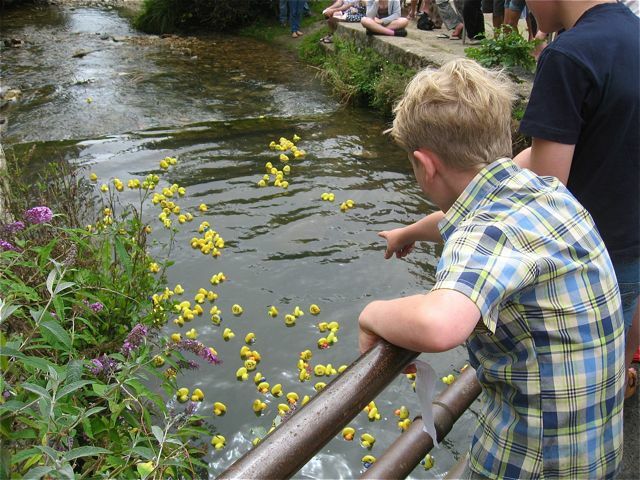 Apparently Duck Racing, far more aesthetically pleasing I think, almost went the same way when there was a complaint to the RSPB, but thankfully this was ignored. The Town Crier in full regalia arrived by mobility scooter, appropriately dressed volunteers sold last-minute tickets, the Lady Mayor made a speech and they were off! 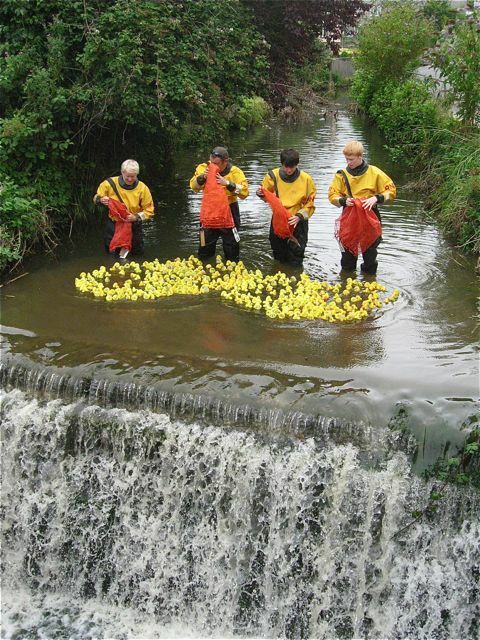 About 400 ducks were released from their nets into the River Lim rapids by four fit members of the Royal National Lifeboat Institution. 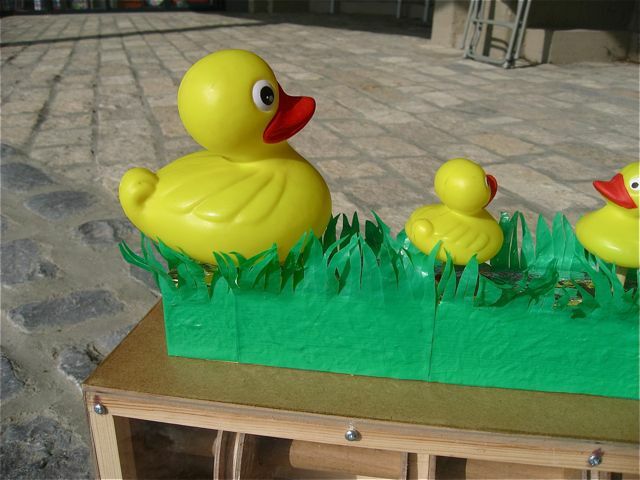 Sadly, despite much enthusiastic urging from SK, my ducks (numbers 191 and 238) failed to finish their journeys towards the sea. They are now resting, ready for next year’s exciting event. 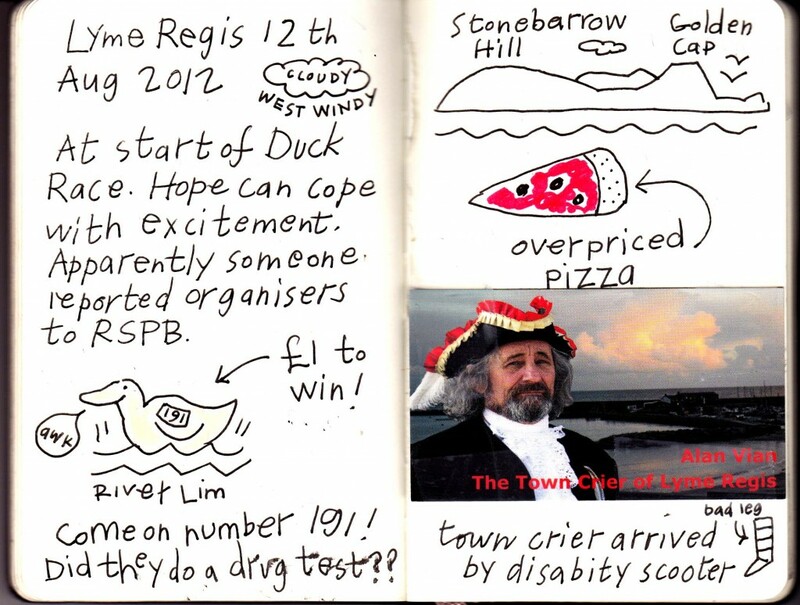 This entry was posted in Drawings, Festivals, Sketchbooks, Travels and tagged Dorset, Lyme Regis, notebooks, seaside, travels. Bookmark the permalink.